The super-saloon marketplace is just about to undergo a revolution. BMW is readying its new M5, and Mercedes-AMG has just revealed its new E63 – which we’ll see on the roads this coming summer. 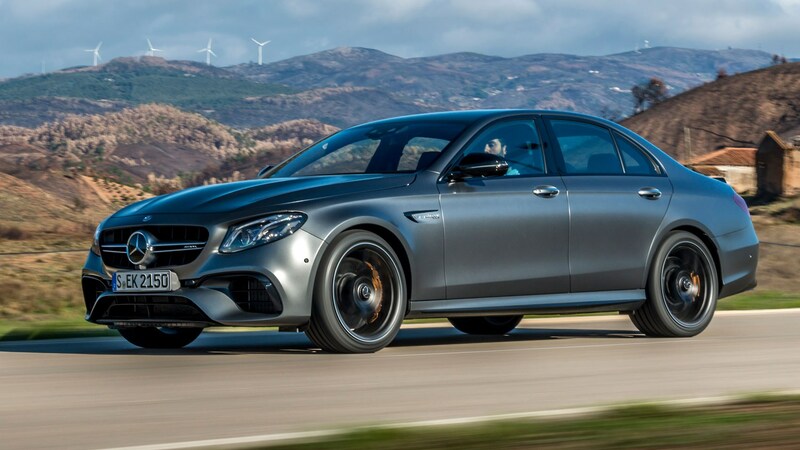 In this choice-obsessed world there are two E63s, the standard car with a meagre 563bhp and 553lb ft of torque, or the E63 S – which bumps that up to an altogether more satisfying 604bhp and adds another 74lb ft of torque for a 627lb ft maximum. There wasn’t a decision to be made, as AMG didn’t even bother to bring the standard E63 along to the launch, which speaks volumes. Like Audi’s players and, if the rumours are true, the next BMW M5 in the big-power, bulging arches marketplace, the E63 has adopted all-wheel drive. It’s not gone soft though, as AMG boss Tobias Moers is quick to point out it’s a very AMG-specific system – into which you can read that it’s predominantly rear-wheel drive. If that still doesn’t wash with your pals then there’s always the option to select Drift Mode; yes, seriously, by pulling both gearshift paddles simultaneously in one of the more extreme Drive Select modes, and confirming with another pull. Do that and the shaft diverting as much as 50 percent of the car’s torque to the font axle off the new 9-speed automatic transmission is effectively decoupled, and you’re on your own. 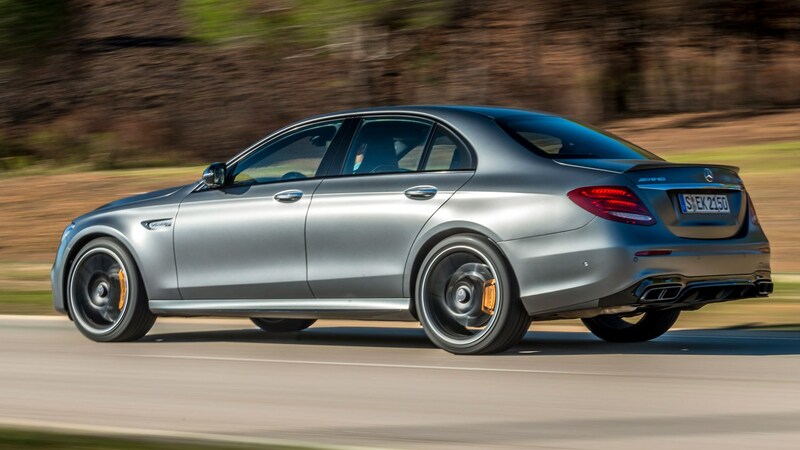 It might once have been, but Mercedes-AMG has changed and the E63 S underlines that. There’s sophistication mixed with the usual unhinged performance. Yes, the E63 S can get you to 62mph in just 3.4 seconds, which is quicker than all its rivals, and onto a electronic limiter-straining 155mph (or 186mph optionally) shortly after – but it does so with some real finesse. In the new E63 the chassis no longer feels like it’s struggling with the output, with the E63 S’s 4.0-litre V8 working in unison with it, rather than feeling like it’s fighting to break out. 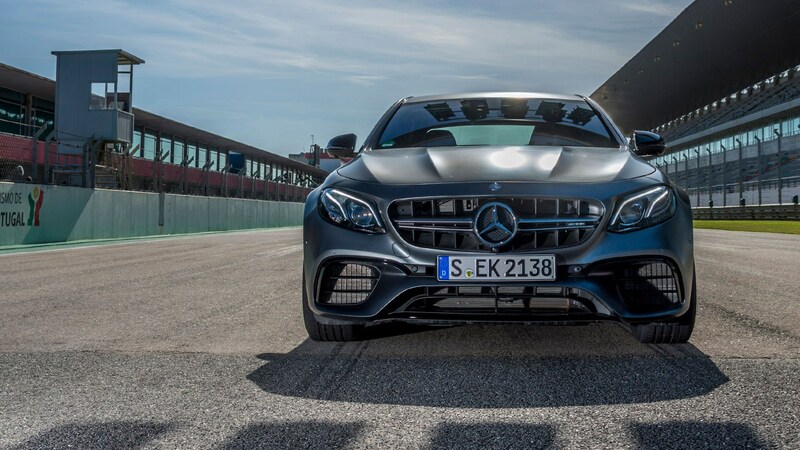 Technology obviously helps; that all-wheel-drive system and a new wet-clutch nine-speed auto that shifts quickly – no bad thing given all those cogs – aid the E63 in reining in its twin-turbo punch. The S gets adaptive engine mounts, as well as a clever electronically controlled rear differential as standard, over the standard E63’s mechanical limited-slip differential and regular engine mounts. What’s immediately notable, even at ordinary speeds, is the steering. The chunky flat-bottomed wheel actually delivers some feel along with a fine weighting, making the front axle as impressive as the rear one. The interior is as massively screened and as easily operated as a regular E-Class, except you do so sat in some low-set, deeply bolstered sports bucket seats – and those screens now access many more AMG-specific drive and information options. But there’s still fireworks, right? The E63 now steers with real precision and offers a composed ride thanks, to its three-chamber air suspension with variable dampers. Traction is superb, thanks to the 4Matic+ system and even – on paper at least – the car’s more efficient thanks to all those gears. That said, there’s still the menace of old here. 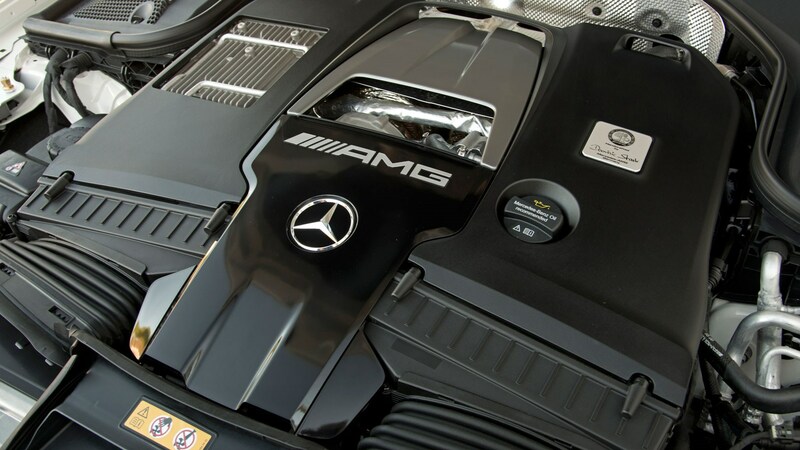 The engine’s been significantly overhauled here to up its output from its other AMG applications; the 4.0-litre twin-turbo unit’s hot-V mounted puffers are now twin-scroll units, while the pistons, intake system and control systems all having been modified to deliver improved performance and greater control. Despite the sizeable bump in output the E63 S retains all the autonomous functions you’ll get in a motorway-munching fleet diesel E-Class relations, only here you’ll want to do the driving – and not to be on the motorway. Mercedes-AMG insiders admit that the E63 is their most difficult car, as it has to be so many things to so many people. It has never quite achieved that in its previous generations, and has usually ended up being a bit one-dimensional. With the new one it’s both sophisticated, comfortable, and – depending on your colour and wheel choice – a passably discreet executive that’s got a racer’s edge and real precision when you ask more from it. That it’s achieved those heady heights, while still offering some of the trademark lunacy and as-yet unrivalled performance, is quite an achievement.